It all started simply enough. I started up Windows Vista and when the logon screen appeared I clicked on my avatar. I was not using a password so I expected to immediately see my familiar desktop (nice country snow scene with key icons centrally placed) appear. That did not happen. Instead I was greeted with a message that read “Profile Service Failed the logon“. What was that all about? I found that I could logon to my wife’s desktop but that did not help much. Sure, I could find the programs I wanted and run them; but, that took a lot of work. I prefer to have everything in an orderly arrangement on my desktop. If I want to activate the interface to a ham radio I just click on the Ham Radio Deluxe icon that is front and center. If I am going to review photographs and possibly make changes to them, all I do is click on the big ‘eye’ icon for FastStone Image Viewer. No longer; my familiar territory was gone. What to do? Google, of course. I put the error code in Google and quickly learned that there is a registry file that holds all the details of my desktop appearance. Apparently the file somehow became corrupted. No problem. The registry is so smart that it makes a backup of my file (extension ‘.bak’). All I needed to do is to carefully replace the corrupted file with the backup file through some name switching. I proceeded to do so. I got as far as changing the file extension on the corrupted file at which point the Vista security system asked me for my administrator password. I generally leave the admin password blank and so I just hit “OK”. Not good enough. The computer insisted that there was a password. Unfortunately I had no record of it. This is where my memory gets a little murky. For some reason I decided that I should have a password to my desktop. Possibly the creation of one would help me regenerate the Profile Service file. So, I created a password for the account and it took. I may have been in Safe Mode when I did this. Now I could type my password at the logon, hit enter, and then get the annoying message again. Nothing accomplished. I then went back to trying to change the registry file and still got a request for my administrator password (my account is the administrator account). I put in every password I had a record of. I believe that I even put in the new logon password that I just created. The system just laughed at me. I tried to restore the computer to a previously saved restore point. That failed. What next? I decided to find a program that would retrieve the lost admin password for me. I settled on a program called Ophcrack. It required me to copy the program as an image (ISO) file to a DVD. At first when I tried to download Ophcrack the computer insisted that I needed my admin password (User Account Control interruptions) to do so. Of course the whole point was that I did not have the password. I tried to close down User Account Control (UAC) but could not because, right, I did not have the admin password. Finally I was able to get Ophcrack from a different site and somehow avoid triggering UAC. Next I needed a program to help me save Ophcrack and its Table files (files that contain password data sets) to a DVD as an image file. That took several trials and ruined DVD’s. 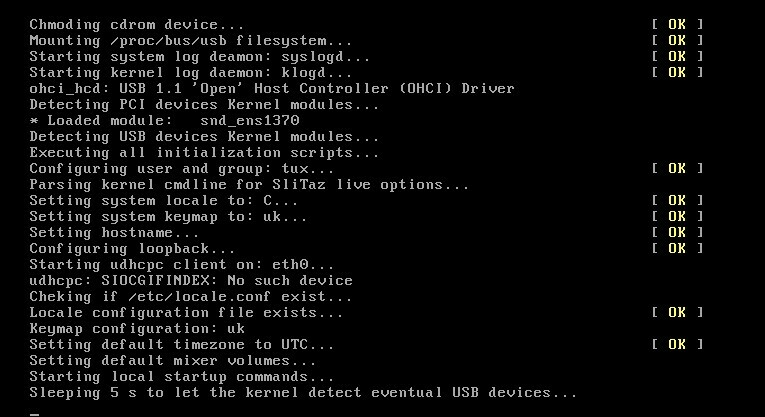 Finally I was able to boot from the Ophcrack disk. This black screen scrolled by when Ophcrack began. It stalled with my fancy video card. All kinds of data began to scroll through a black screen. It was working! Then a color GUI (graphical user interface) screen appeared with several choices. Before I was able to choose what to do the screen went blank and stayed there for 2 minutes, 4 minutes, etc. The version I used had 4 options. It passed by too quickly to choose when I had my fancy video card installed. I tried a couple of times with the same result. Back to Google again. It seems that not all video cards support this program. I yanked my video card and reactivated the onboard video. That worked. I ran the Linux program. Immediately I got the error ‘tables failed to load’. I thought they were on the disk? I checked. They were. The program was not finding them. Eventually I downloaded tables separately and put them on my wife’s desktop (remember, I can’t see mine). It took some time to figure out how to tell Ophcrack where they were since it did not use the directory structure terms I was used to. This is one of several screens available for loading tables and running the password crack. When it finally worked it showed my admin account and several ones that were ‘deactivated’ (I didn’t do that!). There was my admin password. It was the same password I had just chosen for my logon. Now I was really confused. I thought I had tried that one? Back to the registry. Still locked out, password or not. I rebooted in Safe Mode. Now I found that my password was accepted (no more ‘try again, stupid’ messages) but none of the changes I attempted would work, including modifying the registry. Desperation filled me. I had to think of something new. OK, what if I disable my antivirus software and boot in Safe Mode? Will that work? I tried it. That helped. I was able to logon to my desktop, although it was only partial with none of my regular icons or background. It was a minimal one. Progress! I entered the registry but before doing so I right clicked on the program name (registry) and chose “Run as Administrator”. The computer did not yell at me! I renamed the first registry file. I hit ‘Enter’. It saved! Oh my God! I continued with the recovery of the .bak file and exited the Registry. The final boot that followed took a long time but everything was back to normal. Make sure you write down the administrator password. Create at least two administrator accounts so that if you are locked out of one you can use the other. Create a ‘Password Recovery Disk’ so that if you lose the password you can still get into your account and make a new password. I am sure there are errors in the above description of events. I was frazzled and did not document every step. I just wanted to get control back! But, hopefully my experience will help someone else to either stay out of trouble or get out of it when it happens. This entry was posted in Modern Technology, Occasional Commentary and tagged admin, administrator, gui, image file, iso, linux, lost, ophcrack, password, profile service failed the logon, UAC, user account control, vista. Bookmark the permalink. This is a WordPress blog and most of my formatting is with the default settings and add-on programs, nothing fancy.